Clashes erupted on Saturday evening between Palestinian youths and Israeli Occupation Forces (IOF) after the latter stormed Birzeit town, north of Ramallah. Local sources revealed that IOF soldiers, in eleven vehicles, raided the town and stationed in the cemetery. Meanwhile, an Israeli army chopper was hovering over Birzeit and others towns in northern Ramallah. Palestinian youths threw stones at the Israeli soldiers who fired rubber bullets and tear gas grenades at the youths before retreating. No injuries or arrests were reported. The sources revealed that the Israeli forces carried out excavation works at the graveyard and took out some bags from the ground. A while later, the IOF soldiers returned to the town and raided a youth hostel and wreaked havoc on it before reportedly arresting a student. Israeli soldiers attacked, on Friday evening, many Palestinians protesting near the border fence, east of Gaza city, and injured a young man with live fire. Media sources in Gaza said the soldiers, stationed in the Nahal Oz military base, across the border fence, east of the Sheja’eyya neighborhood, in the eastern part of Gaza city, fired many live rounds, moderately wounding a young man. 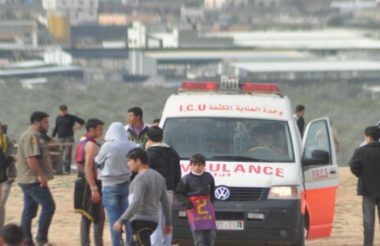 The wounded Palestinian was moved to a local hospital, while several others received treatment by field medics for the effects of teargas inhalation. A weekly non-violent demonstration against the Israeli Wall and settlements in Bil’in village in the central West Bank was met with a massive show of force by the Israeli military, who fired tear gas canisters at children and blocked international observers from entering. 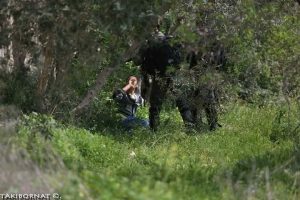 Two people were abducted by Israeli forces: 14-year old Khader Abu Rahma, who was photographed cowering in a grove of olive trees while Israeli troops stood above him, heavily armed; and Majdi Abu Rahma, 32, who was taken from his car, and his vehicle was seized. The local coordinator of the Popular Committee Against the Wall and Settlements, Abdullah Abu Rahma, told reporters that the Israeli soldiers installed checkpoints at the three roads leading into the village of Bil’in, blocking international observers and supporters from entering the village for the protest. The checkpoints prevented anyone from entering the village, whether they were going there to pray at the mosque, be with family, engage in commerce or support the non-violent demonstrators. The villagers gathered near the center of town after mid-day prayers, and began their march down to the site of the Wall constructed in violation of both international law and an Israeli High Court ruling, right in the middle of land owned by residents of Bil’in. During today’s protest, the marchers held up pictures of Basel al-Araj, who was killed by Israeli forces in Ramallah this week. When they reached the gate in the Wall, Israeli troops in jeeps and armored vehicles were lined up in firing position. The protesters chanted slogans in support of Palestinian hunger strikers, chanting the names of Jamal Abu al-Leil, who has been on hunger strike for 22 days, and Mohammad al-Qiq, who ended a 32-day hunger strike on Friday. Israeli soldiers fired tear gas at the demonstrators, including children, and the demonstrators scattered. The soldiers followed this initial barrage with rubber-coated steel bullets and sound grenades fired toward the demonstrators. Bil’in has been a leader in the non-violent resistance movement in Palestine, with weekly non-violent protests held every Friday since 2003. 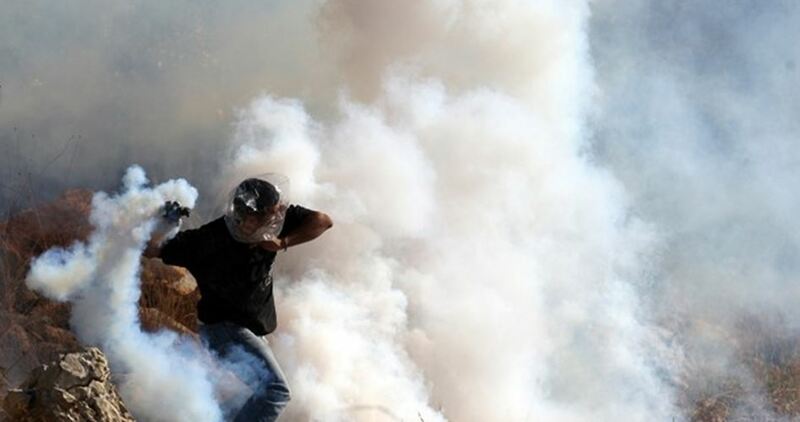 Palestinian medical sources have reported that several residents suffered, on Friday evening, the severe effects of teargas inhalation during clashes that took place after Israeli soldiers invaded the al-Khader town, south of Bethlehem, in the occupied West Bank. Ahmad Salah the coordinator of the Popular Committee against the Annexation Wall and Colonies in al-Khader, said the clashes took place in Bakoush area, in the western part of the town, after several army vehicles invaded it. He added that the soldiers fired many gas bombs and concussion grenades, causing several Palestinians, including children, to suffer the severe effects of teargas inhalation. Palestinian Red Crescent medics rushed to the town, and provided the needed treatment to the wounded residents. The Israeli occupation forces (IOF) on Friday evening arrested a wounded young man during violent clashes with local youths in Silwad town, east of Ramallah in the West Bank. Eyewitnesses said a young man was arrested by soldiers after he suffered a bullet injury in his head during skirmishes in Silwad. They added that another young man also suffered a bullet injury during the events. The identities of the two young men are still unknown. Two other young men identified as Majdi Abu Rahma and Issa Abu Rahma were arrested during the clashes that broke out with soldiers after the latter attacked the weekly anti-wall march of Bil’in west of Ramallah. In a separate incident, anonymous persons detonated explosive devices and firecrackers at Israeli soldiers and their vehicles in at-Tur town, east of Occupied Jerusalem. There is still no information if the attack caused injuries among the soldiers. Several Palestinian homes sustained damage in Anin village west of Jenin when Israeli soldiers opened fire at them on Friday night, with no reason. 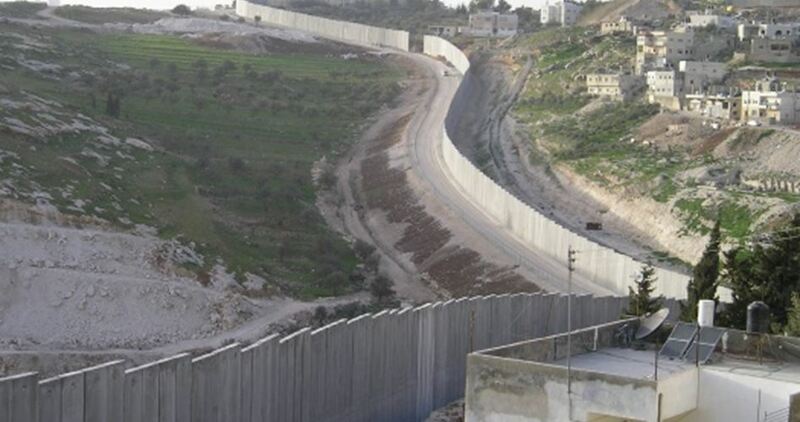 Local sources told the Palestinian Information Center (PIC) that soldiers guarding the segregation wall (built illegally on annexed land in the village) intensively opened fire at nearby homes, causing damage to it. Such gunfire attacks happened repeatedly during the past few day in the village, and this makes the residents live in constant suffering and fear, especially since Israel’s wall has become widely encircling their homes. 11 dunums of the village’s land were separated by the wall, which has a military post and gate guarded by Israeli soldiers. 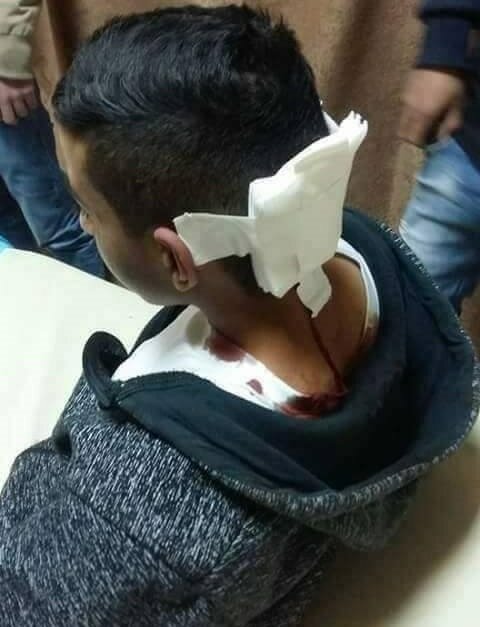 A Palestinian minor was shot and injured by a rubber bullet after Israeli Occupation Forces (IOF) on Friday afternoon violently attacked the weekly march staged in Nilin town, west of Ramallah, against Israel’s segregation wall and settlement. A number of Palestinians along with foreign solidarity activists choked on tear gas as well. The march kicked off after Friday prayer and headed to the separation wall. Participants raised the Palestinian flag and chanted slogans that demanded dismantling the wall and ending Israeli occupation. Local sources said that the IOF soldiers showered the participants in the march with tear gas and rubber bullets resulting in cases of suffocation among the marchers and the injury of a 14-year-old boy with a rubber bullet in his foot. He was treated in the field, the sources pointed out. Israeli navy gunboats on Friday morning opened fire at Palestinian fishermen off Gaza’s northern shores. 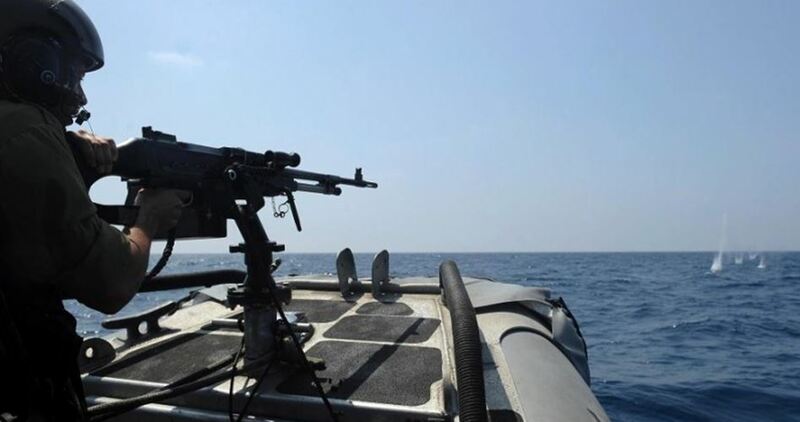 According to local sources, Israeli gunboats opened their machinegun fire at a number of Palestinian fishing boats off the shores of Gaza. The fishermen were forced to return ashore. Luckily, no one was injured in the assault. Earlier Friday, Israeli military troops deployed at and around the Kissufim military base, east of Khan Younis, hit Palestinian farmlands in al-Qarara and Deir al-Balah with artillery shells. A number of Palestinians choked on teargas and others were summoned to questioning at daybreak Friday in clashes with the Israeli occupation forces (IOF) in Bethlehem. Reporting from the scene, a PIC news correspondent said clashes flared up in Artas village, south of Bethlehem, shortly after an Israeli military patrol rolled into the area and targeted Palestinian homes with heavy spates of teargas canisters. 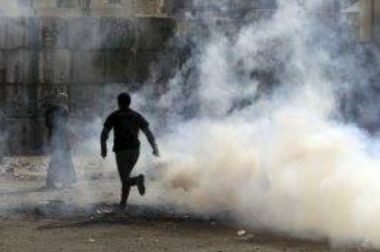 A number of civilians reportedly choked on teargas in the assault. The Palestinian anti-occupation protesters responded by hurling stones at the occupation soldiers. At the same time, the IOF stormed Aida refugee camp for Palestinian refugees, north of Bethlehem, and wreaked havoc on civilian homes before they summoned two youngsters—Hamza al-Nabtiti and Assaad Darwish—to questioning. The occupation army further broke into al-Duheisha refugee camp, Hendaza Mount, and al-Mawalih area in Bethlehem and handed over interrogation summonses to three Palestinian youths. The Israeli occupation army overnight Thursday struck the blockaded Gaza Strip with artillery shells. 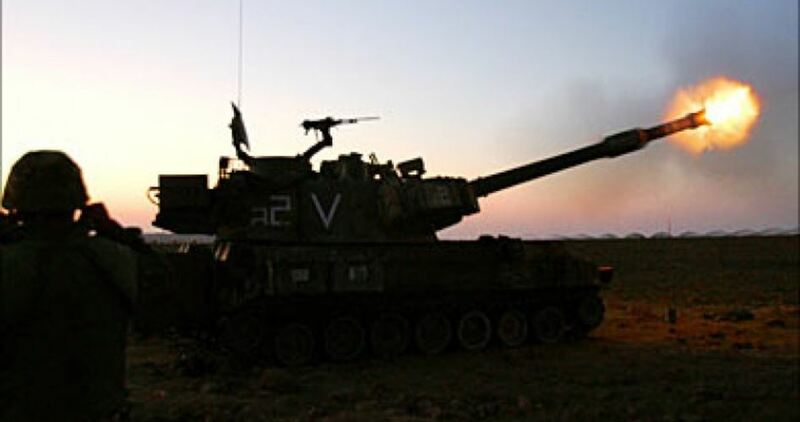 According to local sources, the Israeli military troops deployed at and around the Kissufim military base, east of Khan Younis, hit Palestinian farmlands in al-Qarara and Deir al-Balah with artillery shells. The Israeli army also showered the area with randomly-discharged spates of flare bombs. No injuries were reported in the Israeli onslaught. Sometime earlier, the Israeli forces claimed that a rocket-propelled grenade fired from Gaza landed west of the border fence between Gaza and 1948 Occupied Palestine (Israel). The Palestinian Prisoners’ Society (PPS) has reported that Israeli soldiers abducted, since Wednesday evening until morning hours Thursday, thirty-two Palestinians, including children, between the ages of 11 and 15, and a female legislator, in different parts of the occupied West Bank. The Hebron office of the PPS in the southern part of the West Bank, has reported that the soldiers invaded and ransacked many homes in the district, and abducted eight Palestinians, including a female legislator. It identified the abducted Palestinians as legislator Samira Halayqa, Mo’tasem Farouq Masalma, Mahmoud Raed Masalma, Rami Edrees, Khaled Awad, Tareq Ersheidat, in addition to two siblings, Majed and Morsi al-‘Ajlouni. The soldiers also invaded and searched homes in the northern West Bank district of Tulkarem, and abducted three Palestinians, identified as Mahmoud Hussein Abu Hamza, 20, Mothanna Abdul-Rahim Rabea’, 13, and Issa Omar Odah, 24. 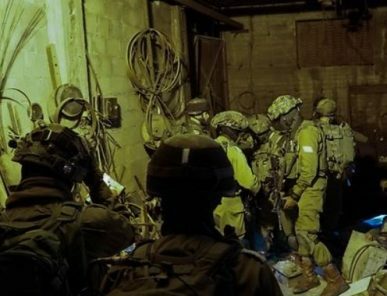 In Nablus, also in the northern part of the West Bank, the soldiers searched homes and abducted three Palestinians, identified as Jihad Nashata, Assef Tayyim and Suleiman ‘Oweiss. In occupied Jerusalem, the soldiers stormed and ransacked dozens of homes, including in Qalandia refugee camp, interrogated many Palestinians, and abducted nine, including children, between the ages of eleven and fifteen. They have been identified as Mohammad ‘Alqam, Jawad Abu Sneina, and five children, ages 11-15, identified as Ahmad Yousef ‘Obeid, Mohammad Mustafa, Malek al-Qaisi, Rami al-Joulani and Husam Zaghal. Also in Jerusalem, soldiers and personnel of the tax department, invaded many stores and homes, in Salaheddin Street and in Silwan town, and abducted two Palestinian shop owners, forcing many others to shut their stores down. The two have been identified as Jawad Abu Sneina, who was taken prisoner near the al-Aqsa mosque, and Waseem Abu Bader, in the al-‘Abbasiyya neighborhood, in Silwan town. 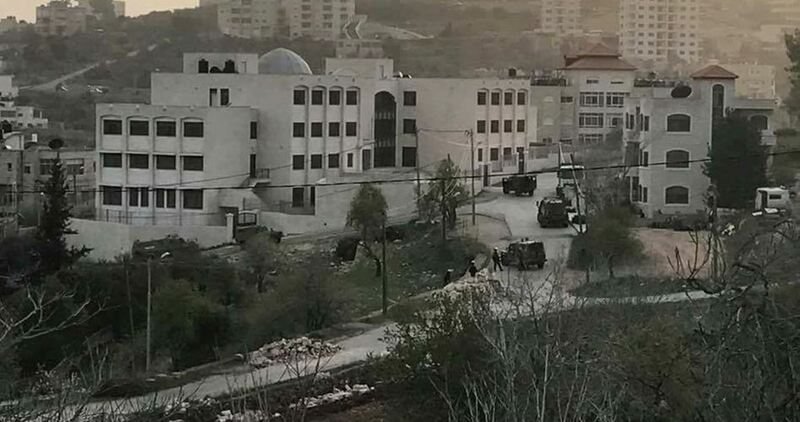 In addition, the soldiers attacked several schoolchildren in Wadi Hilweh neighborhood in Silwan, allegedly after “throwing rocks” at a colonialist outpost. The soldiers also abducted Ahmad Hasan Mteir, and Mohammad Hasan al-Lowzi, from Qalandia refugee camp, north of Jerusalem. 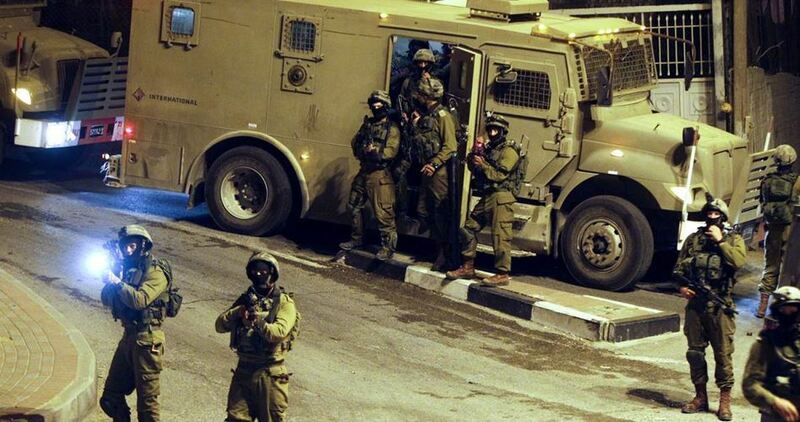 In Ramallah, in central West Bank, the soldiers abducted Dia’ Rezeq Hmeidat and Hazem Mahmoud Hannoun. In Qalqilia, in the northern part of the West Bank, the soldiers and abducted three Palestinians, identified as Mahmoud Kayed Abu Adwan, Ibrahim Talal Shreim and Nidal Ahmad Hussein. In Salfit district, the soldiers abducted one Palestinian, identified as Emad Raja ‘Ayyash, after breaking into his home and searching it. Another Palestinian, identified as Mohammad Mahmoud Abu Shouka, from Gaza, was abducted at the Container military roadblock, near Bethlehem.